There May Be A Raccoon Inside This Subway Station! KENSINGTON/WINDSOR TERRACE – Beware! 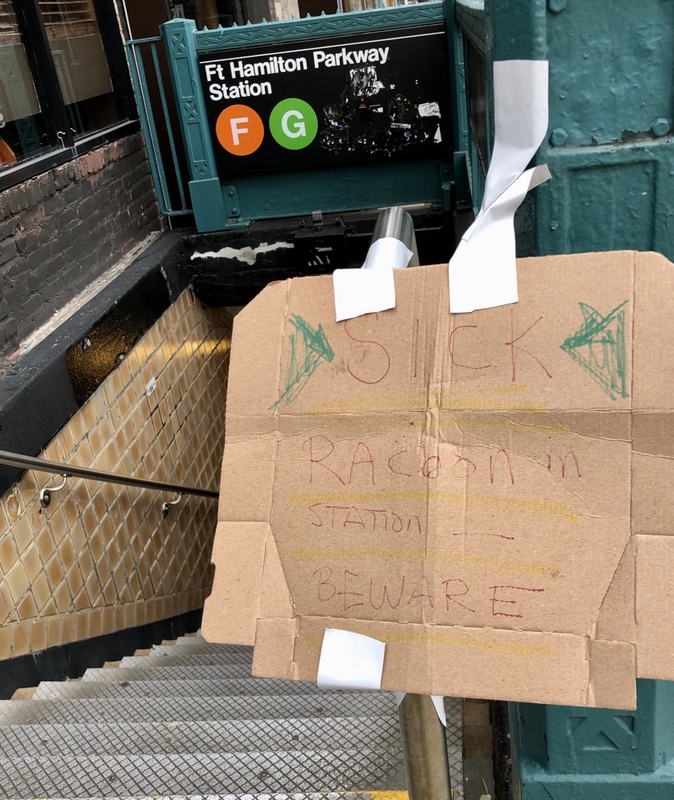 There are reports of a raccoon inside the Fort Hamilton F/G subway station. Have you spotted it? Not even a raccoon can stop the commutes of Brooklynites. The neighbor tells us people were walking around the animal. “I had to use another entrance because my kids were with me and I had to run to the train so couldn’t take a picture of the raccoon in time,” he said. It seems like the raccoon has been in the station since last night. The MTA tells us they’re monitoring the situation, despite not seeing the raccoon. Nor was it the first time a raccoon has gone down the stairs into the subway (it happened in Toronto). It seems ours didn’t hitch a ride on the train, or surely social media would be all over it. These days, animals may be the only New Yorkers that love the MTA. Forget the pizza rat, remember the two goats that were spotted in Sunset Park along the N train tracks? Or the kittens that seem to like the Q tracks a few weeks ago? Oh and let us know if you spot the raccoon today!